In Oregon wine country they talk about dirt; in Napa they talk about scores, in Sonoma they talk about why they aren’t Napa. The first thing you hear about when you walk into a Missouri winery is history. And a glorious history it is. Settled by German immigrants in the 1830’s, the town of Hermann became the center of their attempt to birth a “new Rhineland” in the American wilderness, which included making wine using local grapes. 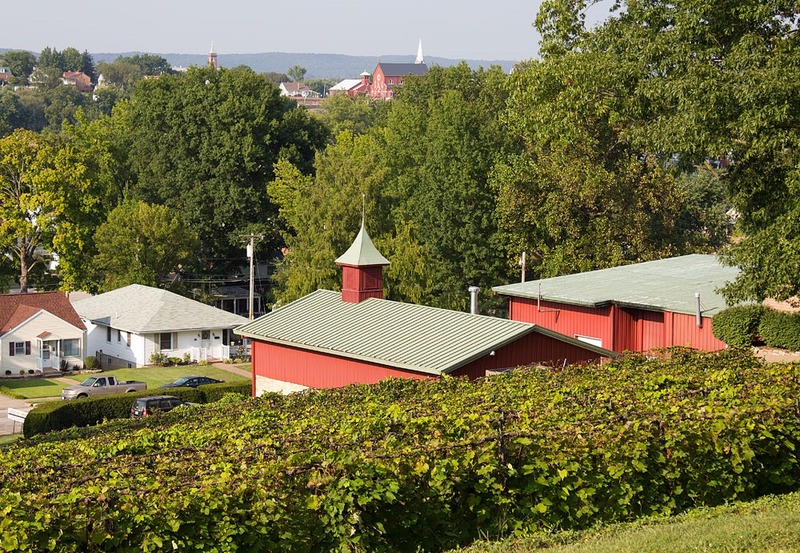 By the turn of the century, Stone Hill Winery, was the third largest winery in the world (second largest in the U.S.), producing more than a million gallons of wine a year. But, more importantly, MIssouri wines can boast that they saved the European wine industry from ruin. An American import, the dreaded Phylloxera pest began to destroy vineyards throughout France in the 1870’s. It was a Missouri entomologist Charles Riley who was able to diagnose the problem and recommend their vines be grafted on to Native American rootstock that was immune to the louse. Millions of cuttings of Missouri rootstock were shipped to France thus rescuing their wine industry. Sadly, prohibition destroyed Missouri’s industry and high taxes and expensive fees discouraged its development until the 1960’s when Stone Hill Winery reopened followed closely by Mt. Pleasant Winery both of which flourish today. Over 100 wineries now call Missouri home, many of them on the Missouri River between St. Louis and Jefferson City. 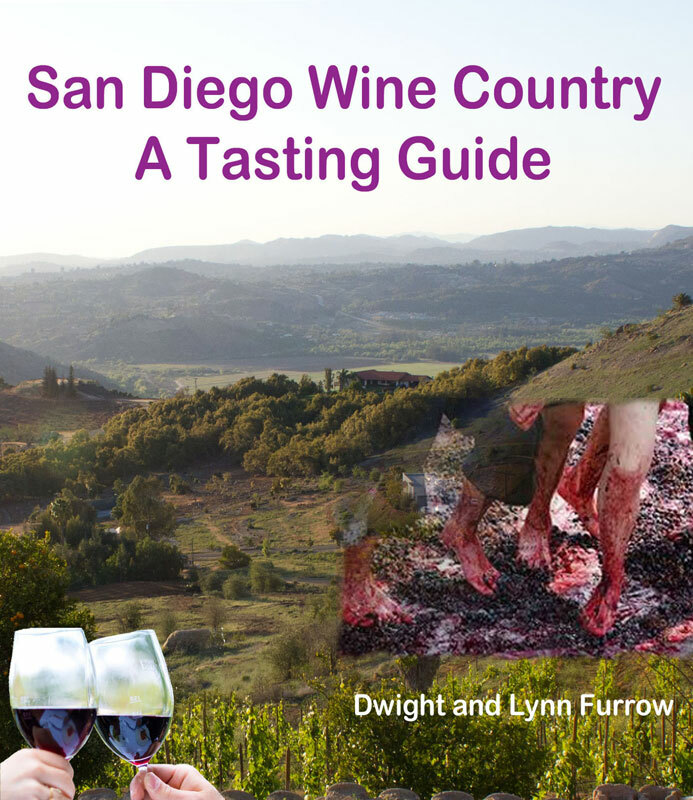 As to the wines, well they are still finding their way in a wine market saturated with Cabernet, Pinot, and Chardonnay. Because Missouri grapes are, well, different. Norton, Chambourcin, Chardonel, Traminette—these are varietals that survive in hot, humid climates and are resistant to mold and fungus. So tasting, if you’re accustomed to familiar vinifera varieties, requires a learning curve trying to get your head around new flavors and unfamiliar styles. Missourians love their sweet wines. Not sweet as in complex, fortified dessert wines like Port or Sauternes necessarily, but sweet as in simple table wines with lots of sugar. So many tasting menus are divided between a sweet flight and a dry flight. To be honest, although I enjoy traditional dessert wines for their complex aromas and rich, honeyed flavors, sweetness by itself is not a virtue. I found most of these sweet Missouri wines cloying and boring. But the dry and off-dry wines are interesting if unusual. Norton (also sometimes called Cynthiana) is the official grape of Missouri wine country although it originated in Virginia and is grown there as well. The genetic origins of this grape are uncertain but the speculation is that one Dr. Norton crossed a forgotten European vitis vinifera variety with a local variety, probably vitus aestivalis , creating a grape that was resistant to fungus and made wine not unlike the European wines that settlers craved. At any rate, it was enormously popular until prohibition and is, in recent decades, making a slow comeback in the Southeast. It produces dry wines with deep purple color and unique, bright raspberry flavors, mingled with spice and coffee. It has high acidity, medium tannins, and low alcohol and takes well to oak. Winemakers in Missouri are paying considerable attention to how they can best produce Norton to compete with premium European varietals. If you like Syrah you might find a place in your heart for Norton especially if quality levels continue to improve. Chambourcin is another interesting red. A French-American hybrid with unknown parentage also grown here because of its disease resistance, it is a versatile grape appearing in many different styles from bold, structured, fruity wines to softer, approachable quaffers. I tasted off-dry, sweet, rose, and nouveau-like versions as well. Berry fruit and chocolate are the main flavor notes. As to the white varietals, the Chardonel, a cross of the French-American hybrid Seyval and Chardonnary invariably seemed flat and uninteresting. But I loved the Traminette, a cross of another French hybrid and Gewurztraminer that shows the floral and tropical flavors of its parent. It takes lots of tasting over many years to really get to know a wine region. A short, 4-day trip is just an appetizer. But the history alone is sufficient to make this an important wine region and the local population is sufficiently interested to keep these wineries flourishing. Many of them are weekend destinations with food service, music, and large, busy tasting rooms. Hermannhof: An historic building and cellars in downtown Hermann now owned by the Dierberg Family, producers of Santa Barbara wines. A real sense of history here, and the wines are a good introduction to Missouri winemaking. Adam Puchta Winery: Allegedly the oldest continuously-owned family winery in the country, the Norton Estate and Chambourcin were especially good. Here is my review of the Chambourcin and the Norton Estate. Stone Hill Winery: An historic winery with great views and a good restaurant on premises, these wines were also excellent. The reserve Traminette is wonderfully aromatic and full of flavor. This was the best overall winery experience, a must-visit when you’re in this region. Mt. Pleasant Estates: Very nice tasting room experience and a pleasant view. The wines overall were the best we tasted. Montelle Winery: A destination with good views, food service, and a large, busy tasting room. Good wines.